The more you publish on your blog, the more traffic you get. This is a general rule in content marketing and it's backed by many studies. But what kind of content should you be creating? And what's the point in getting more traffic, if the traffic doesn't also lead to more conversions? To grow you business and not just increase a vanity metric in your analytics dashboard, it's clear that you have to be strategic about what kind of content you create. In this post, you'll discover the 5 types of content you should be publishing regularly. Knowing the 5 post types makes it a lot easier to figure out what to write next. Plus, if you create posts of each of these types, you'll have a strong blog that attracts traffic, builds your brand and converts readers into customers. Below is a summary of each of the 5 content types. The information is the same as in the video, so if you watched it, you can click here to jump straight to the examples. Epic content is the kind of content bloggers like to brag about the most. It's extensive, in-depth content that delivers a massive amount of value to readers. When content marketers discovered that longer blog posts usually g﻿﻿et more traffic and higher rankings in Google, the idea of creating epic posts gained popularity. An epic post can be an "ultimate guide" to something in your market, a content piece for which you do some original research or any other content that is long and in-depth. Keep in mind that content formatting is also crucial to making this kind of content work. No one likes an epically long wall of text. Tutorials and use cases, explaining how your product can be used to achieve specific results. Case studies of customers who've used your product or service and the results they got. Content that teaches how to get a beneficial result (which is easier/faster to get when using your product or service). Content that is closely related to something you teach in more depth in an information product or course. Quite simply, conversion content is any content in which promoting your product comes naturally. The content itself still needs to be useful and valuable, of course. The idea isn't to simply place ad copy in your blog. But if your content naturally leads to a promotion of your product, it's a great way to "soft sell". Story & branding content is where you let your personality shine. This is content in which you tell your story, you write about what you believe in, what your loftier goals are, what you're passionate about and what you're angry about. This kind of content is important, whether the "character" in your business is a person or a brand. It's the kind of content that helps people identify with your business. It's what makes the difference between a cold, faceless corporation that simply provides a service you need and a company that you actually care about. A reference post is often short, simple and explains a single concept. When writing your blog posts, pay attention to anything you often refer to - this could be a concept, a strategy, even a commonly used term in your market. Instead of explaining what you mean every time you mention it or linking to an external source like Wikipedia to explain the term, it's better if you create your own reference post to link to. 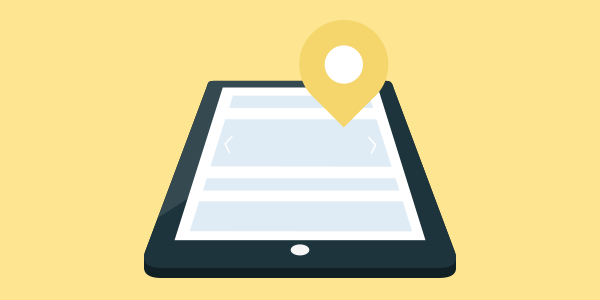 An advantage of this is that you can keep people on your site and build up more internal links. Another advantage is if you coin your own terms, that are explained and associated with your brand. You should be updating and improving your product over time, no matter what it is. You should post about those updates and improvements on your blog. If you sell software, then frequent updates and improvements to your product are expected, these days. But even if you sell information products or a service, you should be continually seeking to improve your product and publish about it, whenever you make such an improvement. "Is this business legit? Can I trust them?" Seeing a blog with lots of activity and frequent product updates shows that you care about creating a good product and likely won't abandon new customers if something doesn't work for them. To make the strategy of using these different content types more practical, let's look at some real-life examples. Note that not every blog will feature all 5 blog post types. If you read our blog frequently, you may have noticed that we're fans of Ramit Sethi. That's because he's a marketing badass. So, let's have a look at how he mixes up different types of blog posts. A 4,600 word post that provides a very extensive view of Ramit's strategies for success. The post is full of value and also rich in images, illustrations and examples. This is such a wonderful example of story & branding content. The whole post is a reaction to an article Tweeted about by the Times, which gives some really silly financial advice. Ramit lays into it, making fun of the author and ranting about the content. It's a great way for him to demonstrate how his approach the post is also full of opportunities for him to link out to other courses and products of his. Ramit sells a course called Earn1K, which teaches how to earn $1,000/month on the side. In this post, he writes about something that's highly desirable to anyone in his target market and the post seamlessly leads to a promotion for a trial of his Earn1K course. 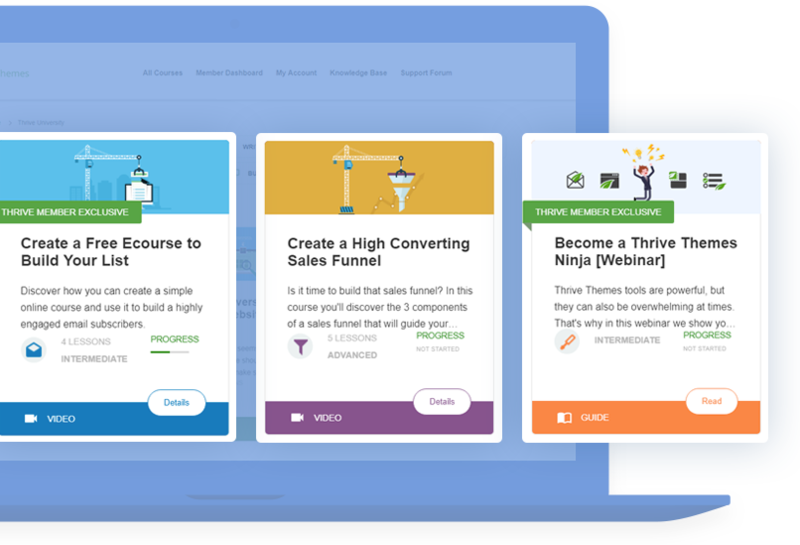 It's a good example of conversion content because anyone who reads the whole post is likely to be a future customer of his course. Intercom create a tool for customer support and communication. They also post frequently on their blog, indicating that content marketing is an important part of their strategy. Intercom went the extra mile on this epic piece of content, even creating a custom layout and design for it, that separates it visually from their "regular" content. Not only is this post massive (6,000 words), it also contains several videos and many beautiful illustrations and custom graphics. According to BuzzSumo, the post has been shared over 1,800 times and if you're in Intercom's target market, you can't help but be impressed by the value they offer, here. This is a short post about a customer support strategy. It makes a simple point: you shouldn't be using an impersonal ticketing system to help your customers. The reason it's a conversion post is because it just so happens that Intercom sell a solution for a much more personal kind of customer support. They sell the solution to the problem they describe in the post, in other words. Story & Branding Content: Why We're Dropping the Term "Content Marketing"
This post provides a behind the scenes look at Intercom's business: it explains a decision they made internally. At the same time, this post can be valuable to readers and it sends a clear message about what kind of a company Intercom is and what they believe in. This is a pretty straight-forward post about a new set of integrations Intercom added to their product. For some people, this new feature will be a reason to become a customer. For others, it's a reminder that the Intercom team keeps working on and improving their product. Groove is a customer support solution and the team have made a name for themselves with their excellent content marketing. I love this example, because it takes a controversial position. Among entrepreneurs, "you have to hustle" is accepted truth. We're proud of our ability to hustle and work hard. For many, it becomes an ingrained part of their identity. A post about why you maybe shouldn't hustle is a great way to differentiate and demonstrate your values and beliefs. This is a simple feature update post. I believe that for Groove, it's especially important to have regular product updates on their blog, because they often right about things that are only tangentially related to their product. This post is conversion content, for two reasons. First, it is about how to do customer support well and as such, it will attract an audience of potential customers for the product Groove sell. Second, the product Groove sells of course supports all the uses described in the post. This is a short post that explains a term frequently used throughout the content on the blog. It's a term that is very useful as basically "the kind of business you should be creating" and without the reference post, there would be a need to explain the term in many posts. This post lays out the entire system I advocate (and use myself) to create and market your own products. It's as extensive as it can be, without turning into a book. The example also highlights another important thing about epic content: it's not for everyone. Not everyone has the patience to go through this amount of content, but for the right people, it might just turn them into lifelong fans. In the online business space "easy" is a favorite word. Everyone's always looking for the shortcut to easy wins. This blog post takes a counter position: it explains one of the core values I talk about on ActiveGrowth, which is that chasing shortcuts is a waste of time and success only comes as a result of sustained, disciplined effort. 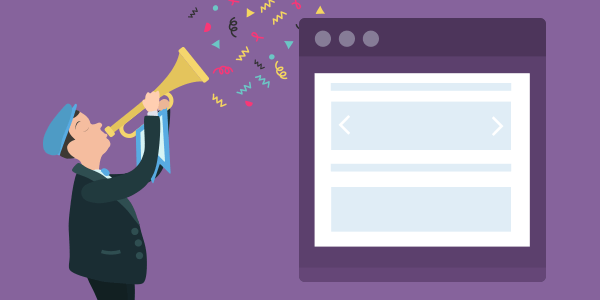 Conversion Content: ﻿﻿﻿﻿﻿﻿﻿What's the Best Social Sharing Plugin for WordPress? On ActiveGrowth, I don't sell any of my own products (yet). I wanted to show this example, because even if you don't have your own product, you can create conversion content. In this case, it's a product review. The primary purpose is to provide valuable information about which products to use. The conversion factor lies in the use of affiliate links for all the products. If you decide to purchase through one of those links, that supports ActiveGrowth via commissions we earn. Okay, now you have a clear idea what the 5 content types are and how they help your business. But when should you publish which type of content? And how often? As mentioned at the top of this post, data shows that publishing more often generally leads to more traffic. As long as your content is good, you can't publish too often. That means publishing frequency is mainly a question of resources. If you're a solopreneur, it's mostly a question of time (and of how efficiently you can produce content). In a team, it's mostly a question of cost. Don't be afraid of publishing often. As long as the content you create is good and relevant to your readers. Epic content is the most "dangerous" content to create, because you can easily get stuck on it. It takes the most time to create and your standards will be highest, for this content type. If you don't have a good amount of content creation experience under your belt, I recommend ﻿not creating any epic content at a﻿ll. For veterans who don't have a problem producing epic content, I would still aim for less than 10% of your content to be epic posts. Product updates should be produced as often as possible. Intercom state that "shipping is your heartbeat", which is definitely true for a software company. As mentioned in the video, even if your product isn't software, you should look for opportunities to improve your product and publish about it on your blog. The limiting factor on product update posts is simply how often you actually update your product. Story & branding content is especially important when you are starting out. In the beginning, no one knows you yet, so telling your story and writing about what you believe is an important way to introduce your brand to the world. Since your story and mission don't change rapidly, the frequency of these posts goes down once you've covered the basics (you should still internally link to your story and branding content from new posts, whenever you can). Reference content becomes more important later on. In most cases, you discover the need for reference content while publishing other content. When there are concepts you repeatedly explain in your posts or external sources you keep linking to, it's time to create a piece of reference content. Conversion content: next to product updates, this is the most important kind of content. This is where you teach your audience, deliver value and convert readers into customers. Aim to make 50% or more of what you publish conversion content. I hope you can use this post as a guide for creating a better blog - one that serves your visitors as well as your business. Together with this post about how to create content faster, you're now well equipped to win with content marketing. Let me know if you have any questions about this topic, by leaving a comment below! Thanks for clarifying the 5 types. I will review my disorganized mental “content cloud” through these 5 lenses. Thanks for your comment! I’m sure this will serve you very well! Thank you Shane. Succinct, clear and very useful. This article helps me focus on what I am writing and why. It also show me that mixing the five types in one blog could be confusing. That’s something I hadn’t thought about before. Thank you for your comment, Lewis! Mixing the different types in a single post would mostly be confusing, yes. Although one post can often have more than one element to it. 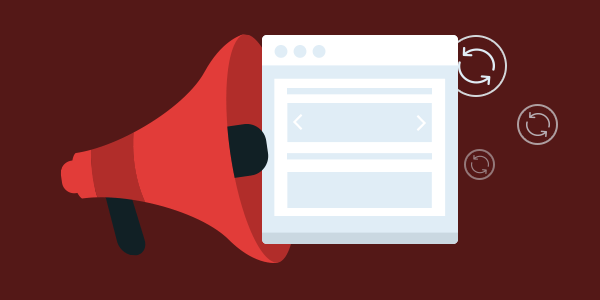 For example, a product update post can contain a tutorial and become conversion content. But trying to do too much in a single post will lead to the same problem as having many calls to action on the same page. Man, that’s perfect man: we know that we should be creating some contents, but most of the times we don’t know where to begin. Getting this list of ideas – not only ideas, a whole concept, strategy – makes things MUCH easier for us. I also liked a lot your other content about creating some quick and quantity content on social media over only high-end-few-a-month content. I love the Gary Vee does it and plan to implement it on 2 of my business, a digital agency and a suplements brand (in some diferent ways, because one is a B2B and other a B2C, but the same basic concepts apply). Wonderful post, Shane!! I loved it! Question: what would you write as “Product updates” if you are not a software company that is regularly updating his product? For example, if you have a business model like Ramit’s, with different online course that don’t get updated over time. I think the question is: do you really not update your products over time? Because I recommend that you do. At one point, the core of my business was several information products. But I didn’t just create the product once and then never touch it again. I made sure that I would get comments, questions and feedback from my customers. And based on that, I would add new lessons, I’d do Q&A webinars, I’d change and update parts of my products, to get them up to date with new tools and resources etc. This is what I recommend doing for information product creators in general. Don’t build once and then walk away. Use a more “agile” approach. Build something small, get customer feedback, improve it, get more feedback, improve it some more and so on. On YouTube, that’s partially true, yes. The objective of YouTube is to maximize ad revenue and the way for them to do that is to keep visitors watching videos for as long as possible. So, because of that, they do what they can to get a visitor to watch the next video, instead of following a call to action to a website or something like that. However, when you embed a YouTube video on your own site, you can set the embed to not show related videos at the end. That’s important and something I 100% recommend doing. Great content! I would point out that the example of “Story & Branding Content: LOL at this avocado toast advice from a millionaire” would more accurately fall under what’s being called “Newsjacking or Attention Jacking” and it’s an excellent form of content. I was a bit disappointed that this content creation was focused on written content, leaving out video content, social content, micro blogging on Instagram, podcast content, and image/graphic visual content, seeing as there are 4 different main types of content consumers I think it’s vital to touch on those different types of content needs. While creating a good variation of content is good, you also have to get good at distributing it. If you don’t distribute content, no one will see it. I think this is where a lot of small businesses get frustrated because they’ll spend 80% of their time creating amazing content that no one sees and they’ll wonder what they’re doing wrong. Spend 30% of your time creating content and 70% of your time distributing it everywhere. As you can tell, I love the topic of content creation and enjoyed this. It’s a topic that you could definitely expand on more and I’m sure you have. Thanks for your comment, Meg. I think about this a bit differently. To me, video, podcasting, social media etc. are different media and different channels. Different channels (like social media) are suitable for different kinds of content and for this particular post, I decided to limit the scope to just what you should publish on your own site. Media is mostly independent from content type. You can have a product update video, a story/branding video etc. And you can have an epic podcast episode, a reference podcast episode etc. Shane, first of all, you are the kind of person I would love to sit down and share a beer with (or a drink of your choice) while talking Internet/Content marketing. I’m impressed not only with your knowledge on this subject, but even more so in your ability to clearly convey that knowledge. You really make it look easy. Thank you for sharing you insights. Now, my question: How should the 5 different content types be segregated on a website? By category or some other means/method? To be the most useful, wouldn’t they need to be presented in a very specific way? Thanks for the post. Loved it. Am a big believer that if one understands top concepts, then it’s “easy” to go from there. Will agree with you on Ramit’s marketing skill, but it’s not that difficult. One of my greatest joys in life is discovering areas of life where people are wrong … but they FEEL they’re right. You start talking about something, then suddenly, they sigh, take off their glasses, lower their voice, then share some “wisdom” with you … ONLY THEY’RE COMPLETELY WRONG! The worst part is, they “feel” they’re right — facts don’t deter them, of course. In the fitness world, this is called Feelz > Realz. I thought it would be fun to share a few of these nutty comments with you. Then, I want to hear from you, so we can all revel in the worst advice we’ve ever gotten. What else am I missing? What’s bad advice you’ve gotten? Write me back. I’m here and ready to feel the anger seep through my veins. Further, he will “admit” he had asked for help before, and also says it’s OK to get help (even if you are a surgeon) and consulting. THEN he pitches his course! Keep up the good work! Loved the recent email course by the nice lady! now I know how to use Groups in MailChimp. Check out my light box and cool new SEO website report tool on my site. Thanks for your comment, Berry. Ramit is exceedingly clever in his writing. I can’t agree with the idea that this isn’t difficult to learn. I’ve seen a lot of copywriting and content writing of various kinds. Measured by what people are capable of doing, I’d say that Ramit’s skill level is very hard to reach. Great explanation of the 5 types of content. What do you recommend in terms of frequency of posting for each of the content types? How often to post epic content? How often to post product updates? Etc. Thanks. That depends mostly on your resources. Several case studies have shown that in general, more content = more traffic. So, the short answer is that for each type, you should post as often as possible. Ideally, you can measure revenue generated from your blog, compare that to what you’re spending on getting the content created and keep cranking up the volume until you no longer make more money from your blog than you spend on it. That’s the media company approach, let’s say. But for most businesses, that’s not an option. For a single author, 1-2 reference, conversion, product update and story/branding posts per week plus 1 epic post every 4-6 weeks is reasonable. This kind of frequency means you can work on epic posts “on the side” as you’re creating the simpler content pieces. But this is again just a question of resources. It’s important to remember that you can’t have too much content. You can only have content that’s not valuable enough. Anyhow, some great ideas a few i have yet to implement.. Gives me some new ideas thanks. Thanks for your comment, Jay! There’s a lot to be said for epic content. I think it’s the most talked-about type of content for good reason. But the bang-for-buck ratio on epic content depends heavily on how efficiently you can create it. It’s easy to get lost in the grand scope of a post like that and if it takes a month to produce, it’s difficult to get a return on investment on it. Thank you for this post. Very timely, as I am sorting out my blog right now. I can see gaps that need to be filled and now know how to fill them! That’s great to hear, Kay! I hope this will serve as a valuable guide for improving your blog. So unique and valuable information! Great information and very useful to me. Without sounding so repetitive, Thrive Themes has been one of my most precious and secret weapons in my marketing business. The product is great and the free marketing lessons that comes with it, is simply unbelievable. Thank you Shane. You, Hanna, and the rest of the crew are at the top list of people I respect in this business. That’s very encouraging, thank you for your kind feedback, Nicholas! Thanks, Shane. I often wondered about what type of content to create and this was very helpful in giving me ideas. Thank you, George! Glad to know this is a useful resource for you. This is an Epic Article. But i have a question to Shane. You can create Epic Videos too. what are the tools you use for your videos? I’m impressed by your videos. I really don’t know why TCB is missing this Pagination feature! Atleast please provide this feature to the TCB users who are using themes/templates of your own Thrive themes so that there would’nt be any compatibility issues! Can you explain how you want to use the pagination feature and what benefit you hope to get from it? We’ve never prioritized this feature because we’ve never encountered a user who enjoys paginated content. The typical use case is to split up content so that you get more pageviews and more ad impressions. Most readers prefer scrolling to loading new pages, though. but that’s not the case for me! I Just want to break a long post of 6k words or 9k words into multiple pages so that the reader won’t have to scroll down too much long! Also, while writing, I can break the contents into single pages easily so that for readers it looks like a mini text book! Whatever the cases may be, if you provide the “Pagination” feature, users like me will decide whether to use it or not on depending upon our own needs! And I believe that this will be a useful option only but not a waste one! Please, it’s my humble request to you to provide this feature urgently! I’ve seen many other bloggers too in our FB groups saying a lot that TCB is missing Pagination! I’ve been doing this for years on my several websites, but never had it so clearly explained! What you can “epic” content I’ve heard called “pillar posts,” “cornerstone content” (Yoast), “Redwood posts” (named for the evergreen giant redwoods on the Pacific Coast of the US)! Seems like every “expert” has a name for them! LoL! In addition to your succinct categorizing of these content types, what I found very helpful was your perspective on time investment on each type and WHY! You’re right that “epic” posts take a long time to do “properly” and when I read your advice about spreading the creation of the different types out — budgeting one’s time, so to speak — it was so obvious, but (embarrassed to say ), it never occurred to me to “budget” my content creation time that way! I always learn something (LOTS) from every one of your articles/podcasts/videos! Many interesting notes here, Karen. About the names: I really like “Redwood posts”. That’s creative! And yes, it’s definitely the same concept with different names. Time budgeting: that’s a really good way to put it! I think I’ll have to use that term in the future. It’s more succinct than how I’ve described it so far. About the word “blog”: I’ve seen some sites that use different terms like “Articles” or “Academy” or something like that. I think there are pros and cons. “Blog” is the most recognizable term. I think almost everyone knows what to expect when they click on “blog”. That can be a good thing or a bad thing, of course. So, if you’re really trying to differentiate yourself, maybe using a different term can be an advantage. One way to test would be to run “blog” for a while and the alternative term for a while and see how many clicks each gets. Or you could A/B test it (although A/B testing menu items can be a bit tricky). Thanks for showing me the 5 types of content, now I have a clear content creation strategy to help me target my offer even further. Just one question, would you create a separate blog for each area of your business. For example, should i have on blog for the hypnotherapy side of my business and one for business coaching? I just realized I have been focusing purely on creating epic content for the last several years! This post was super helpful and powerful. Thank you Shane. Glad to know this was useful for you, Ryan! Great post Shane! Excellent, I work with a writer freelancer in one of my businesses and I constantly train her and teach her proper blogging and SEO writing. This one is going to be my next recommendation for her! From what I know, the more content you write the better (SEO wise), but the average “good” length of a blog post is around the 2000 mark. Would that still be considered a good number for an “Epic” type of content in your view? Thanks for your comment, Elias. Personally, I don’t care about word count at all. I think an epic post is usually going to be more than 2,000 words, but it doesn’t matter to me. I create content for people exclusively, with no consideration of SEO. I would never pad out a piece to achieve a word count and neither would I cut out important details to stay short of a word count ceiling. Because of this, it’s a non-issue for me. Thanks Shane for sharing this tips. Two things stood out for me: publishing more frequently and writing epic content as means of attracting traffic and getting clients/readers. It’s kind of tough publishing as frequently as I wish because of work and other things in my life but hey it us achievable with better planning. Nice to meet you and thank you for following me on Twitter. Publishing frequently gets easier the better your system is and the more you do it. It can hardly be overstated how scaleable one’s ability to produce content is. Because of this, it’s worth investing some time into setting up a system and practicing the craft (for example, as a 30-day challenge) especially if you’re very busy with other stuff. You can’t afford to be writing content slowly. Oops I think I mixed things up. I actually found your blog through Jeff on Twitter. So he followed me and not you and I found your post while scrolling through his page. Thanks for sharing this Shane – one question about your video – how do you remember all that script and get it out so well without umms and pauses? Just lot’s of practice ie The Grind you talk about or do you have some other secrets? Yeah, I don’t think there are any other secrets to this. I’ve recorded probably over 1,000 videos at this point and I’ve created systems for structuring and recalling content. As you can see, the video isn’t unedited, so it’s not that I seamlessly present the whole thing on the first try. But it also rarely takes more than a few takes to get everything recorded. I have a question about: Epic content posts. Are you recommend to install jump links or anchor links, that take you to a specific part of a page? And is there a way to do this with Thrive Architect? Thrive Architect has a table of contents element which automatically creates these links for the headings in your post. I have used these often for longer posts and I think it’s good for readers, especially those who return to the post and want to find a specific part again. While I like Epic content, but it is hard to produce epic content regularly. It is among the best performing content on web that I need to work on. 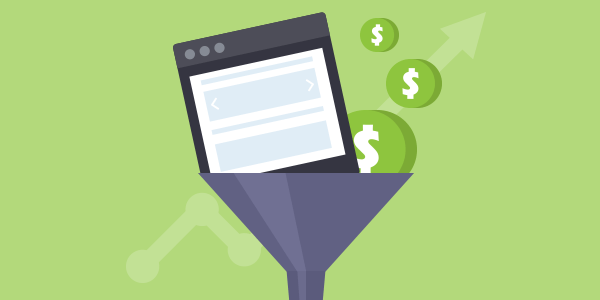 What I really miss on my blog is this conversion content that upgrades visitors in the buying funnel. While I do write case studies as separate custom blog post, I hesitate to incorporate them directly in blog to keep the blog information rather than promotional. What do you say on this shane? Great insights and useful content strategy. 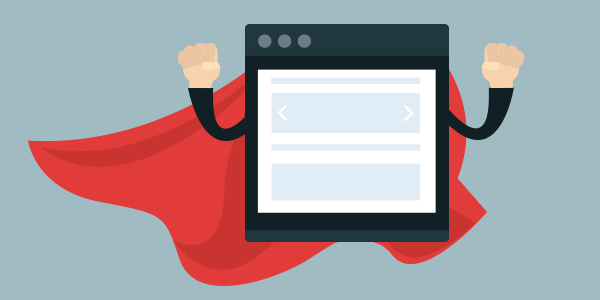 Epic posts are best for inviting traffic to your website.